Fiona Dumas has closed over $100M in transactions. She is an established and top-performing broker at 45 Park Avenue, 530 Park Avenue and 415 East 37th Street. Fiona is a preferred broker at 12-14 East 64th Street. Fiona provides a private and tailored experience to every seller, buyer, landlord and developer she represents. She draws upon almost a decade of experience as a top producing agent, to exceed the needs of her clients and customers. Her wealth of knowledge regarding all aspects of real estate and her dedication to delivering unparalleled service are the foundation for achieving every clients' unique real estate goals. Fiona's attention to detail, her patience, her sharp negotiating skills, and her hands-on service make the real estate experience collaborative and as seamless as possible. Whether working with buyers or sellers, she listens, analyzes and puts a strategic plan in place to realize their dreams. Her clientele ranges from first time sellers and buyers, to experienced real estate investors and international clients. She is praised by her clients and customers for her loyalty, discretion, insight and guidance. 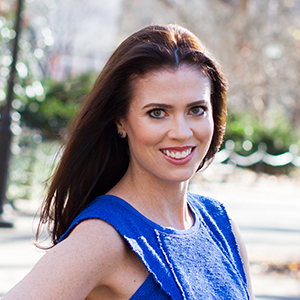 Born and raised in Long Island, Fiona had far reaching dreams- she earned her undergraduate degree in Psychology and Communications from Bond University in Australia and traveled the world. She has a deep desire for excellence which was garnered as a Division I competitive swimmer, she rowed crew and is a regionally and nationally ranked Irish Dancer (performing at Radio City Music Hall). She enjoys time with her friends and close family, music and travel.